I just re-read Harry Martinson’s space epic Aniara from 1956 for a project I am working on. Aniara is a space ship, it is also the Greek word for sadness and despair. In the story, the ship has been thrown off course by a meteor cluster. On board are 8000 refugees from earth, which has become unlivable because of vast ecological destruction from wars and toxic exploitation. An important part of the architectural interface of the ship is Mima, an all encompassing female mystical proto-artificial intelligence. Data was the first word for computer in Swedish, it was deemed a feminine word although Swedish articles are gender neutral. Mima relieves the population on board of their boredom by screening scenes from other times and spaces on earth. The rooms of the ship are her forms of consciousness. Eventually her extended sensitivity cannot withstand the devastation she witnesses from the screenings. She auto-destroys. Helpless, the refugees are ultimately unable to live with their internal and external emptiness and die of hopelessness, on their way out of the solar system. Aniara is written in meter, so reading the text puts one’s body and thought into a patterned flow. Birgit Åkesson choreographed the dance for the opera version of Aniara. She said: “dance allows for a deep commitment to being, to dance reality is to reach the other.” Through the 1980s Åkesson traveled through Africa to record tribal local dances, which were quickly disappearing, partly because of the devastation of the HIV/AIDS epidemic. I collect images daily from the constant stream of news on my digital devices. How can these images describe global, abstract scenarios that operate on imperceptible and microscopic levels? How do these bits of information on cosmic shifts affect our cellular composition, our anxiety levels and collective being? 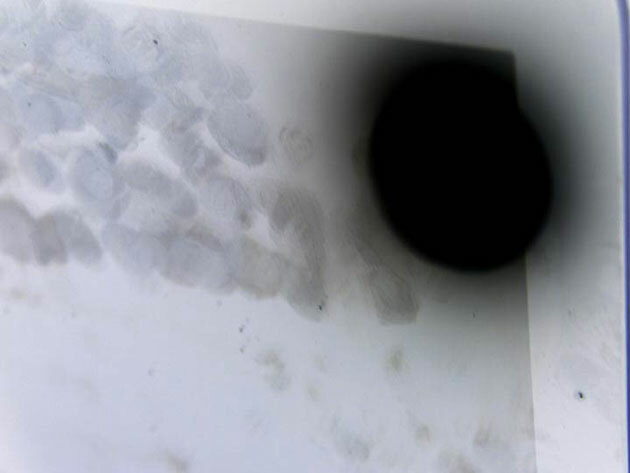 I am thinking about stains and membranes, toxic spills and the traces of bodies, of fingers moving in rhythm, making syntax across technical surfaces and other growths. 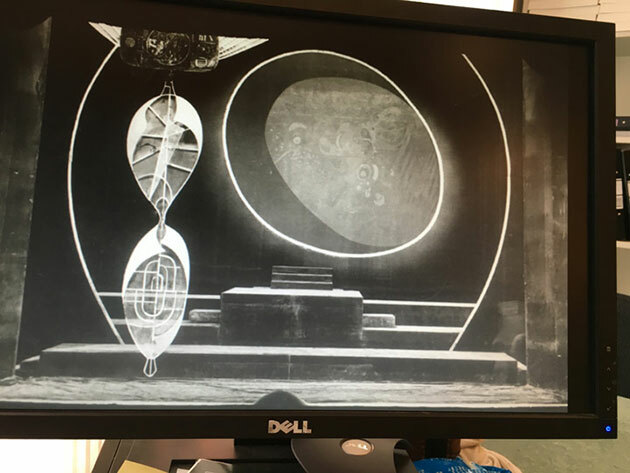 Mima’s hall and Mima herself from the 1959 opera Aniara. 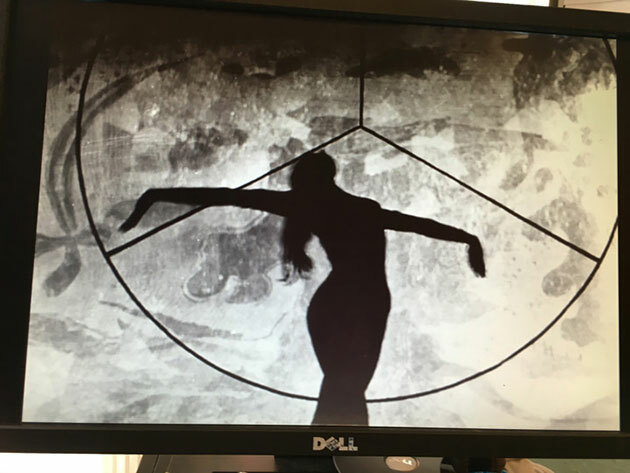 This image is shot of the computer at the Royal Swedish Opera archives. 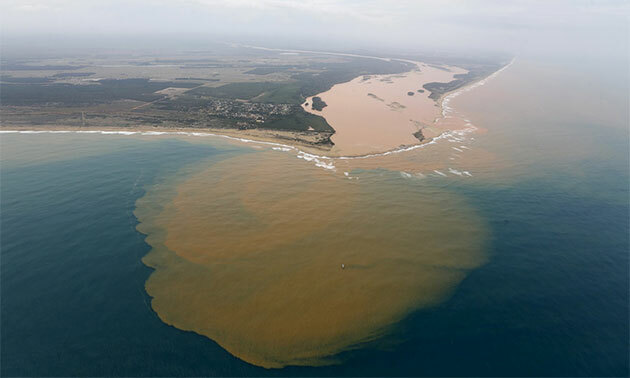 Headline, November 23, 2015: “Toxic mining waste reaches Brazilian coast two weeks after BHP dam collapse.” The mud extinguished vast amounts of plant and animal life. Water use has been banned along a 400-mile stretch of the river. The surface of my iPad, shot on iPhone then inverted, from lecture performance The Growth and its Perennials, 2014-16. Moving across a surface, touching what is above, and what is under, not visible nor perceptible. I was in my garden today. It is covered with snow. Earlier in the fall I pulled up weeds and vines. 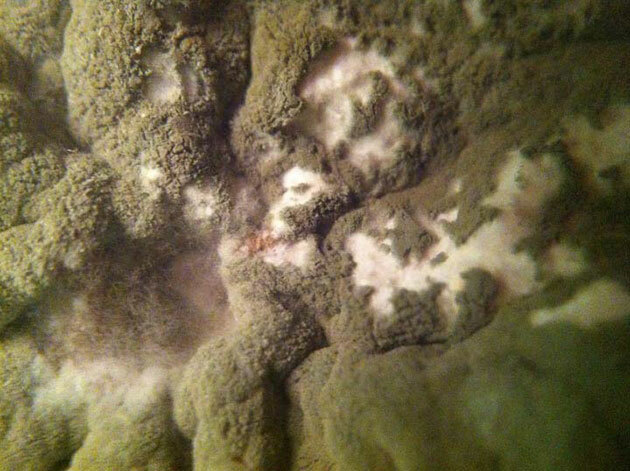 An entire root system came unearthed, merging the visible with the invisible upon touching the surface. The invisible part of radioactivity. The invisible part of the medicated body. The invisible part of rotting decay. The invisible part of our innermost feelings. Countering abstractions through daily routine. To share, to affect, to mean. How can we connect through our collective anxieties to create new rhythms for future rituals? The globe, my intestines, the labor market, our friendships, your neuro- psychology, my compost, all entangled eco-systems. Just like the stock market can bloom so can the garden and psychosis. After devastation, infrastructures re-structure, re-organize, re-grow and grow again. Muscles grow as does the national debt. Everything is intertwined, my feelings become your outburst, my battery release leads to bird’s disease. The air that you breathe went through factories in Michigan or China. Cosmos is a shared thing, cosmos is a thing. The boundary between you and me, a cup, an income cap, or a fly, is fluid. Where is the line transitioning between me, a wall, and mould. These non-perceptible realities somehow enters the real. As opposed to measures, bodies cannot be globalized. We work from specifics, and not from economics and statistics. The arythmia of the beating heart, the timbre of a voice out of tune, the moisture of breath to breath. Fia Backström was born 1970 in Stockholm, Sweden; she lives in New York. Solo exhibitions and projects include the Contemporary Art Museum St. Louis (2009); the ICA, London (2009), and White Columns, New York (2008); Murray Guy, New York (2011). Her work has also been part of numerous institutional, international exhibitions and projects, including 9 SCREENS, at MoMA, New York (2010); Moderna Museet, Stockholm (2010); the Whitney Biennial (2008); and MoMA PS1’s 2015 GREATER NEW YORK. She represented Sweden at the 2011 Venice Biennale and was the subject of Artist’s Institute fall season 2015.